Continental road trips – at least for a family like the Bishops, who live in a semi in Audette Gardens – are rare in 1967. But Jacqueline’s mother, Birgit, is half-German and has long yearned to find her two lost sisters who live either side of the Berlin wall. So her father, Roy, packs the family (Mum, Dad, teenager Jacqueline, her brother Victor and Grandma Nell) into a beaten-up Morris Traveller and heads off to Germany. It’s here that the epigram of Joanna Campbell’s wonderful debut, Tying Down the Lion, begins to make sense: ‘Remember, no matter where you go, there you are’ (Confucius). The journey to Berlin is a physical one that spans the time frame of the book. But there are a number of emotional journeys too. Through the course of the trip, Roy does battle with his ‘Bad Moon Girls’ – the characters who characterise his post-traumatic life after the war. Central character Jacqueline crosses from childhood (she is obsessed with spiders, which she studied in a past school project) into an adulthood in which she dreams of becoming a Biba model. And Birgit, reconciled with her lost sisters, must face the truth about her past. Each discovers that – like the Bluebird of Happiness – what they were looking for was inside them all along. Every incident that happens on the road trip, every revelation, both challenges and endorses Jacqueline’s perception of herself. The novel’s ethnographer, she records what she learns for a school project so that the more comic elements of the novel – the escapades of the journey – are spliced with first person accounts of Kristallnacht and Nazi persecution of the Jews. What Tying Down the Lion offers us is a cross-cultural road map. Unlike the passengers on the underground who must pass the ‘ghost stations’ dotted along the line from west to east, being forbidden to embark, we alight like tourists in east Berlin. Campbell’s precision in rendering setting is breathtaking. We travel with Birgit and Jacqueline through the border crossing on their way to visit Ilse in the east. We hold our breath when, on the way back, they are interrogated for their possession of western women’s magazines. We admire the ingenuity of the eastern Berlin housewives, and women like Ilse, who make do with little but remain cheerful throughout. Tying Down the Lion is certainly a big-hearted, sprawling literary road trip, with pitch-perfect comic pacing and memorable characters. But the book also records an important moment in British cultural history. Grandma Nell might provide much of the warmth and comedy, but she also demonstrates the extent to which ignorance fuelled bigotry and xenophobia in post-war Britain. The image, later in the novel, of Nell bustling around Beate’s kitchen underscores the key themes of reconciliation and communication. In the end, Campbell’s book asserts the importance of family and love, of all different kinds. Like the silk spun by the female diving-bell spider in Jacqueline’s school project that is strong enough to hold down a lion, the ties that bind the Bishop family connect and endure. Tying Down the Lion is published on 15 June by Brick Lane Publishing and is available from Amazon. 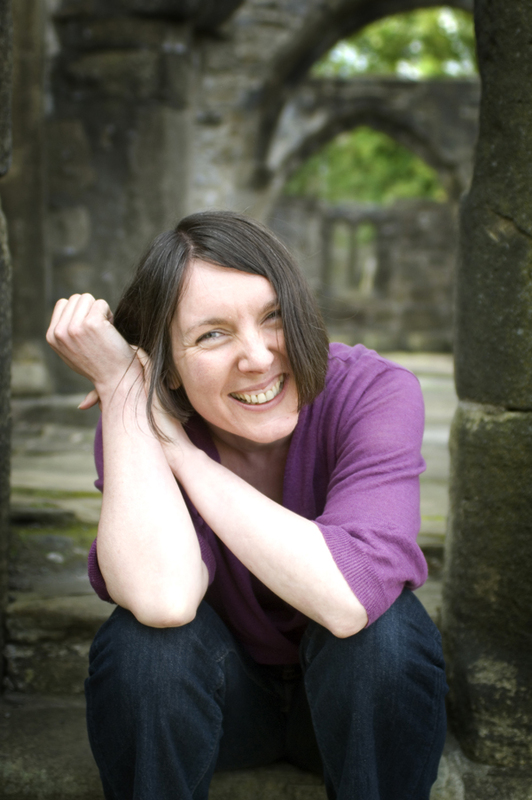 Read my interview with the author, Joanna Campbell, here. Thank you very much, Rachel, for this wonderful review of Tying Down The Lion, a novel which would not have seen the light of day without you. I shall treasure it. It was a delight, Joanna, to see this book shape up in the way you wanted it to. Reading the published version was such a pleasure. The gold was there all along; you just needed time to pan for it! All the best, and wishing you every success.